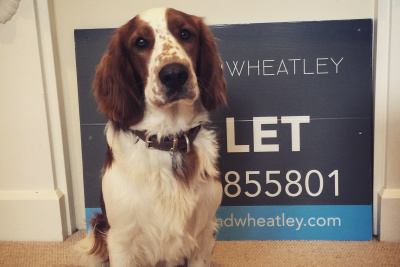 As part of our ongoing expansion plans I'm delighted to welcome our newest recruit to the office, Jack. Jack is new to the business but will primarily be accompanying viewings, sniffing out new instructions and sweetening deals. He brings a calming presence to what is sometimes a stressful environment! I'm sure you'll be seeing more of him!